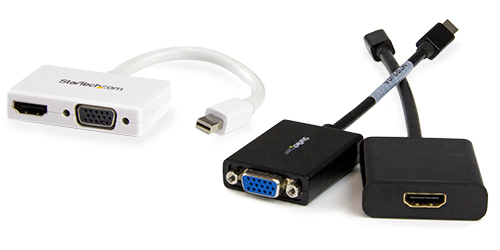 The MDP2HDVGA Mini DisplayPort™ travel adapter lets you connect your mDP enabled Microsoft® Surface™ Pro, Ultrabook™ or laptop computer to any VGA or HDMI® display. 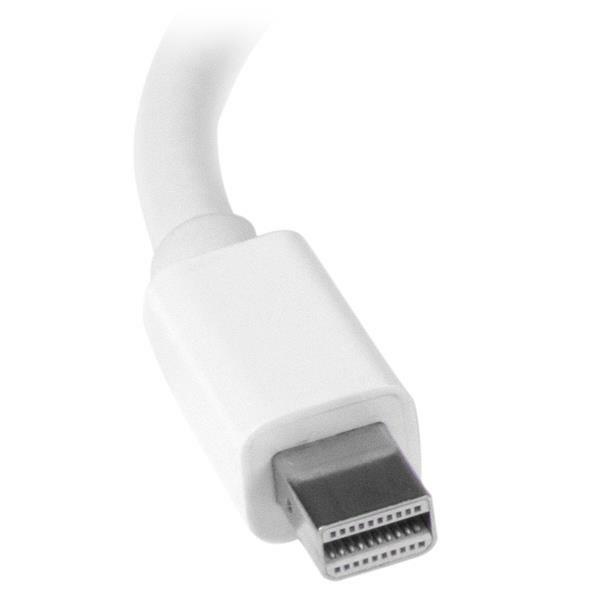 The sleek adapter features an all-white design that looks great when interfaced with your MacBook Pro® or MacBook Air®. 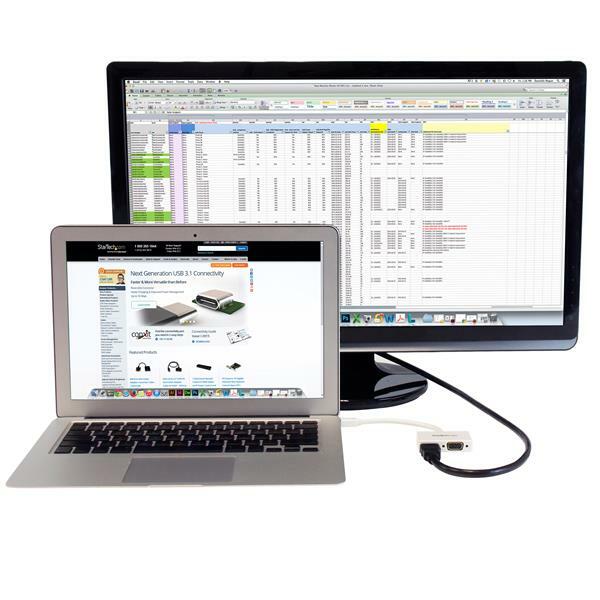 Why carry multiple adapters when you only need one? 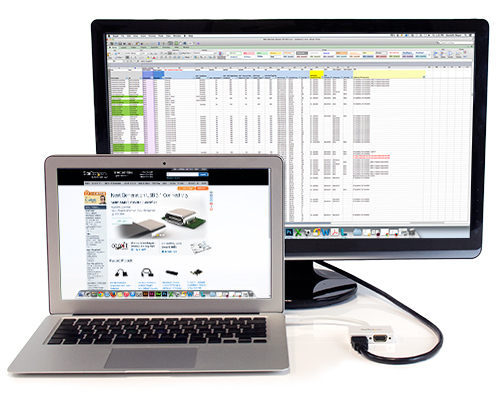 Instead of keeping two different adapters on-hand, the mDP travel adapter offers both VGA and HDMI outputs, so you’ll be able to connect from your laptop to any modern boardroom or classroom display -- an ideal plug-and-play solution for BYOD (Bring Your Own Device) applications at the office. 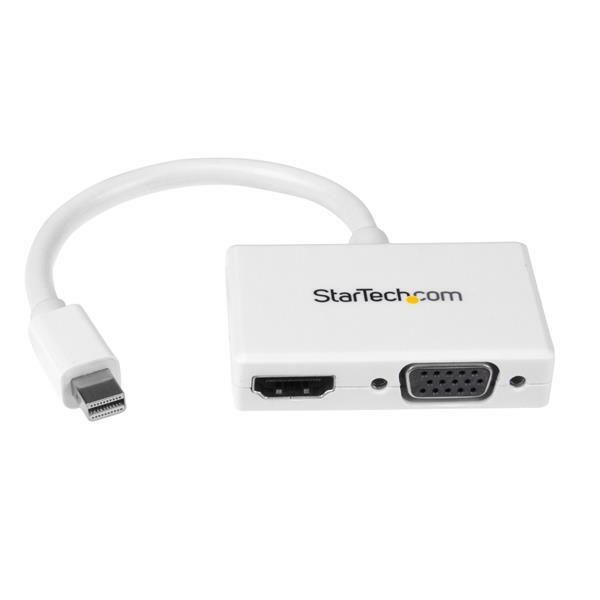 The 2-in-1 converter is compatible with the Intel Thunderbolt port on your Mac or PC and installs easily with no software or drivers required. 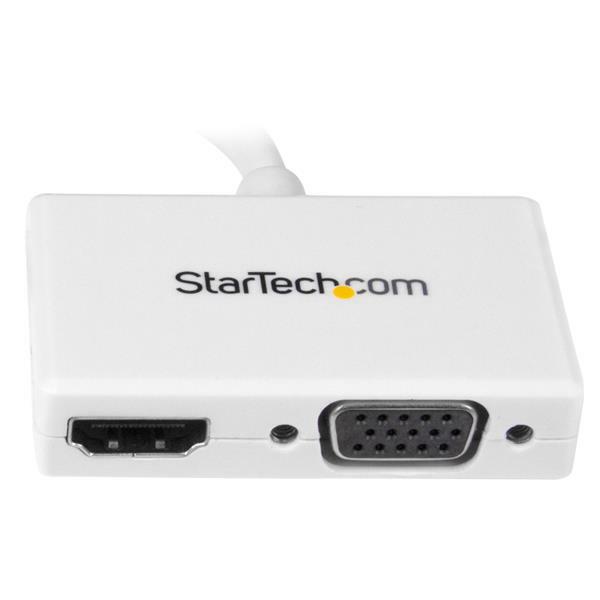 The MDP2HDVGAW is backed by a 3-year StarTech.com warranty and free lifetime technical support.